Almost all critically-acclaimed films in the recent times have Vijay Sethupathi in it. It's no coincidence! Even Thalaivar admitted that Vijay Sethupathi is not an ordinary actor, but a 'Maha Nadigan'. Catch Superstar Rajinikanth's speech here: Superstar Calls Vijay Sethupathi 'Maha Nadigan'! So, this Maha Nadigan made his full-fledged television debut as a host on Sun TV. 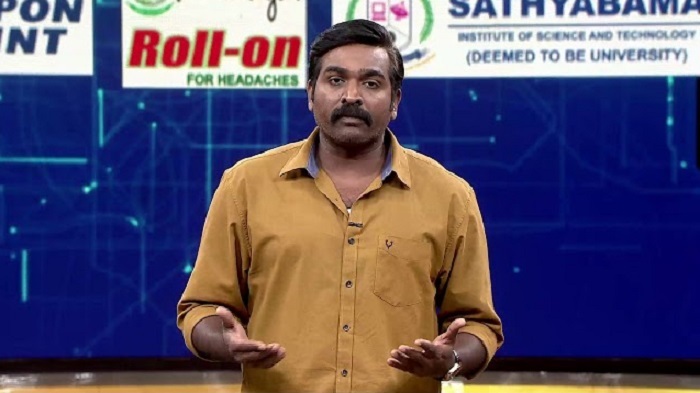 Namma Ooru Hero is a 2019 Tamil reality talk show that invites real life heroes from different walks of life to share their experiences and discuss their achievements. Don't miss the talk show every Sunday at 9.30pm only on Sun TV!